Martha Gladys Chávez Cossío de Ocampo (born January 12, 1953), a member of the fascist party (Alliance for the Future) sitting in the Congress of Perú in Lima, is to Perú what Benito Amilcare Andrea Mussolini (29 July 1883 – 28 April 1945) was to Italy, Adolf Hitler (20 April 1889 – 30 April 1945) was to Germany, and Pope Pius XII, born Eugenio Maria Giuseppe Giovanni Pacelli (2 March 1876 – 9 October 1958) was to the Roman Catholic Church: a fraud, predatory, vicious, vindictive, violent, subhuman and evil tempered quick to toss out, snuff out, and to throw away not only human rights but human lives. 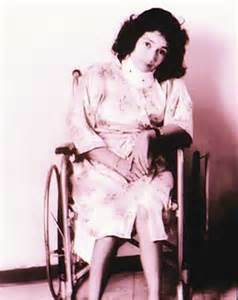 Martha Chavez stands tall in the after shock of the Fujimoristas horror when the students from Enrique Guzmán y Valle National Education University (Universidad Nacional de Educación Enrique Guzmán y Valle, or “UNE”, popularly known as La Cantuta, were kidnapped and killed (18 July 1992) by the narco-traffickers and lower level military functionaries of Vladimir Montesinos, the chief spy and head of Alberto Fujimori’s death squads. 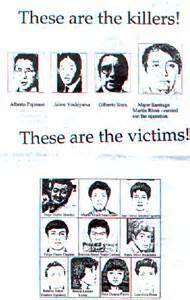 Nine students were believed to be linked to the Tarata Bombing: Bertila Lozano Torres, Dora Oyague Fierro, Luis Enrique Ortiz Perea, Armando Richard Amaro Cóndor, Robert Édgar Teodoro Espinoza, Heráclides Pablo Meza, Felipe Flores Chipana, Marcelino Rosales Cárdenas, and Juan Gabriel Mariños Figueroa. 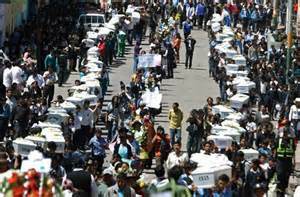 These were the sons and daughters, nephews and nieces, cousins and friends of Perú citizens who sought a better education. 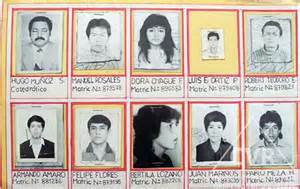 To Martha Chavez, these young people were traitors who deserved death and dismemberment. The victims were separated from their classmates and spirited away to a fate only matched by the unholy Inquisition the gnawed human flesh from bones by rogue friars and priests of the Dominican and Franciscan orders. Not a single student received a public trial for crimes never specified and which there was no evidence. The only celebrant of their cold-blooded murder was the one woman with ice frozen in her aging veins: the single most vocal supporter of their mass murder: Martha Chavez. 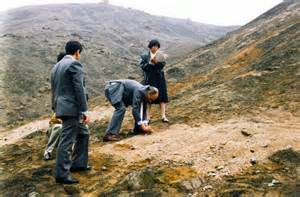 Once the severed remnants of the human bodies of the students (most who moved to Lima from the rural mountains where education is still weak but the hunger for knowledge is strong and growing) and their teacher were found by a journalist who reported their unmarked graves and sent a map to the police, Martha Chávez, arguably equal to or surpassing the execrable Aufseherinnen, responded to the news by suggesting that the journalist be jailed because, by uncovering the graves, he had tampered with a crime scene.2 Chavez tried to silence all dissent, but when she introduced some of the most draconian laws in the history of South America, a not-so-docile Congress rejected them outright. 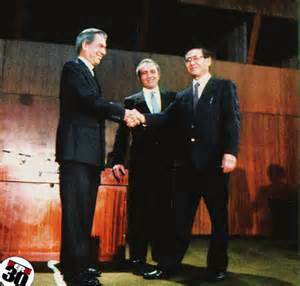 Mario Vargas Llosa and Alberto Fujimori debate 1990. Vladimir Montesinos moved menacingly toward Vargas Llosa. 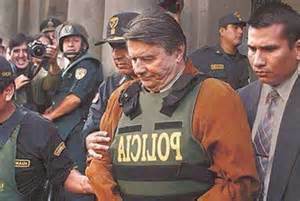 The senior spy for a cannibalizing dictatorship spawned with Fujimori winning the run-off election made it clear that Vargas Llosa would suffer a fate worse than death if he defied the vesuvian house of Alberto Fujimori and his daughter Keiko whom the one-time professor named as the First Lady of Perú after torturing and divorcing his first wife, Susana Shizuko Higuchi Miyagawa (born April 26, 1950).6 Vargas Llosa fled to Spain, a nation that granted him full citizenship in 1993. 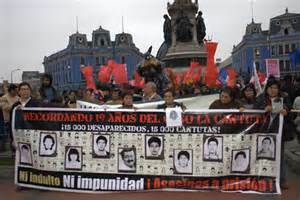 Even before the time Fujimori officially took office, unexplained, undeclared, and uninvestigated deaths and state suppression of human rights and civil liberties mushroomed like a gigantic grey cloud engulfing all of Perú so that a feeding frenzy of fear permeated everything and everyone. When the citizens of Perú, once more under a dangerously demented wyvern washed with wreaths putrefied with perdition demanded justice, Congresswoman Chavez cavalierly rejected any call for an investigation into irregularities, bribes, extortion, blackmail and threats, pushing petitions past her desk and into the wastebasket of time. 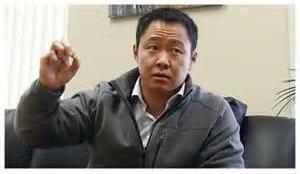 The night the Peru police raided Callo warehouse filled with cocaine, the police visited Kenji Fujimori who was part owner. 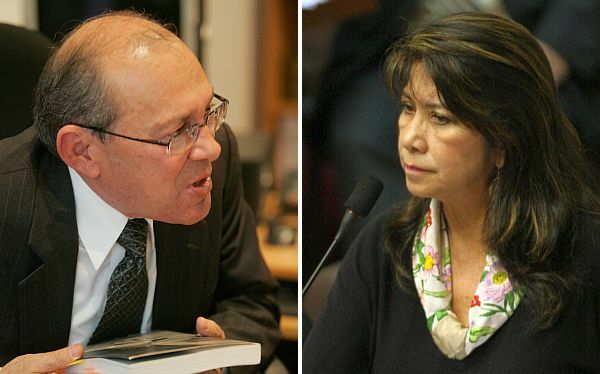 Not once would Martha Chávez entertain any serious call to seek out, investigate of bring the throng of thugs that worked for Alberto Fujimori (and later his children Keiko who planned to buy the election with bags of rice to the poor, or Kenji who was in a constant somersault of strive and swipes at the police or battering them when beer took its hold over the young alcoholic, when not dealing in cocaine as his father did, as defined by the police in Lima when they discovered 100 kg of cocaine in a warehouse with ties to the erstwhile son and heir7) with the winsome wisdom that the mentally deranged denizen in Montesinos encampment were preserving the state and its fragile democracy. 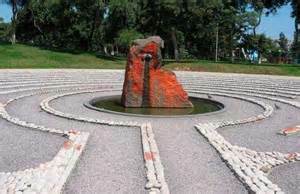 The democracy quickly slipped away as Fujimori became the despot that denizens before had known, but with a twist of arsenic laced between the layers of piety and praise, as Fujimori had the support of Juan Luis Cipriani Thorne–but not of the entire Roman Catholic Church in Perú. Only by stealth, a slight twist of the hand, a whispered word in the ear of a close confident who was known to be discreet and willing to risk all to please one in favor who could raise the supplicant up to a higher status or obtain for the humbled a better place at the economic banquet of bankrupt governing was the faun and fable brought together so that the cunning, crafty, calloused Chavez could be chosen as coordinator of a group tasked to investigate Human Rights abuses for a new Justice Commission. Chavez was determined the Second Commission would not be a carbon copy of the earlier one, as her supporters required satisfaction and restitution at the expense of those killed and who had their cars bombed, blasted, burnt, and destroyed. Chávez’ appointment was denounced immediately, not just by the people who toiled for a few soles nuevo so that the super-rich could rake in millions, but also by those sitting in concert to judge the past. 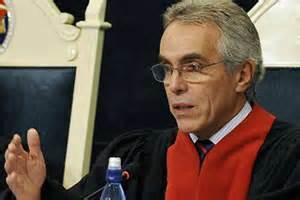 Since “there was no quorum” who had such power as to appoint anyone to the Commission was illegal: a constitutional reality according to the Chief Clerk of Perú’s Parliament Javier Angeles. 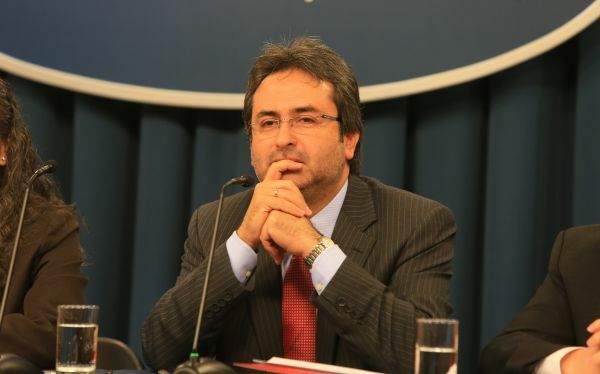 Perú Congresista Heriberto Manuel Benítez Rivas (born 4 October 1959) noted, “This report (from the senior officer) shows that during the session when Martha Chávez was elected there was no quorum, so that session is null, not worth the votes nor worth the signatures, not worth the meeting nor worth the act of choosing (her). 14 All of Perú can rest easy because Martha Chávez is not the Human Rights coordinator, and her selection has been declared invalid.”15 What is dramatic in Benitez’ testimony, was that Chavez was elected with his vote that only recently he admitted was a “political error.”16 An error in judgment, an error in time spent, an error at the expense not only of the people of Peru but of democracy that was still in diapers in Perú. 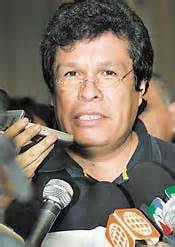 Chavez had condemned the Court of Human Rights claiming that it “has been captured by an ideology” noting that Diego García-Sayán Larrabure (born in Brooklyn, New York on 2 August 1950) “is a Marxist, and since the USA does not recognize it nothing is done.” 17 After blasting the Court of Human rights, Chavez made the statement that “Alberto Fujimori respected human rights in his government” and when asked about the atrocities of the Colina group of Fujimorista terrorists, Chavez brushed aside the criticism by claiming that “Fujimori did not need Cantuta or Barrios Altos” and that the assassinations were done by “a group of soldiers who had become “sickened” over the ten year civil war “and began to take the law into their own hands. 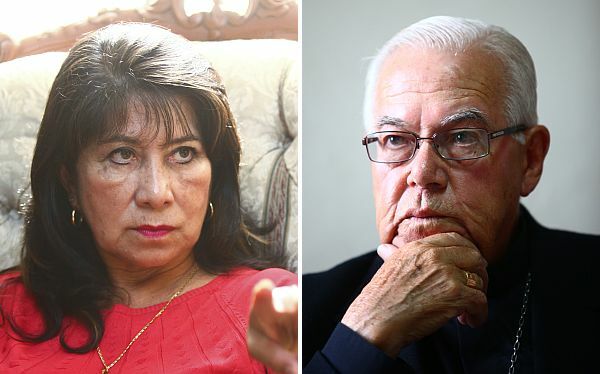 That does not mean they are systematic human rights violators.” Chavez claimed that “all were activists (Shining) Path” including Gisela Ortiz, sister of one of the victims, according to testimony” to which she was privy. 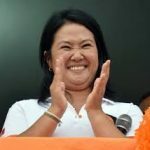 Justifying the atrocities, Chavez summed up her rejection of trying Fujimoristas who slaughtered students: “In a war you have to kill or be killed,” said Chavez. 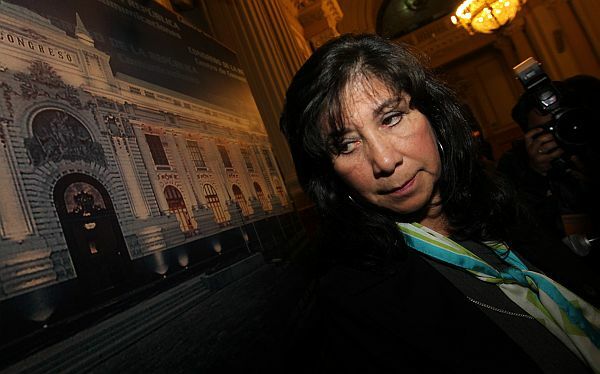 Chávez claimed that Leonor La Rosa Bustamante, an agent of the Fuerza Popular, was tortured from January to February 1997 under orders from Fujimori, could be found dancing in a disco. 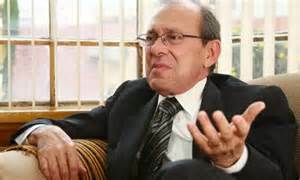 When Peruvians demanded the restoration of the death penalty, Chávez with the backing of Cipriani Thorne, a fervent member of Opus Dei, refused, claiming that were was insufficient grounds to restore the death penalty in Perú since, La Rosa denounced torture by military commanders (there is substantial evidence against Richard Anderson Kohatsu, who now lives on the fifth floor of 1630 Connecticut Avenue in Washington, DC, USA with political immunity), and to bring her abusers to trial would add additional “suffering” to “three three or four military families.” She said nothing about the families of neither the students who died at the hands of the military nor the suffering their parents experienced when it was revealed that their bodies were dismembered and parts buried in different areas.18 La Rosa now lives in Sweden. 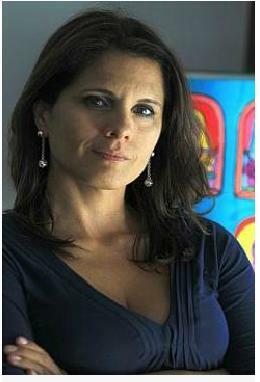 The veracity of Martha Chavez has been called into question frequently, but not with the force of conviction as came from the complaint of the journalist Claudia Consuelo Cisneros Méndez (born in Lima, 30 March de 1969 -) who intoned that the congresswoman “abuses her power to shoot insults left and right” against those who criticized her appointment as coordinator of the rights group. 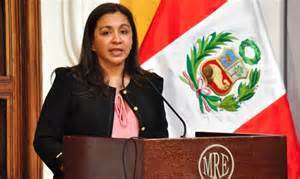 Cisneros commented further, that she made a personal appeal to the members of the Congress of Peru to reflect on Chavez who openly defended state terrorism, the denouement of human rights in Peru, and her lack of responsibility and objectivity in coordinating a commission on human rights, judging “this is a terrible time for the present and future message of what would be remembered as the statement on human rights in Perú.” It was not just for the moment, nor even for the generation, but for the generations not yet numbered, as the mark of genocide and civil war stays with a nation for the length of its history, yet Martha Chavez was convinced that Ollanta Humala was more concerned with his place in Peruvian history than with the plight of the people–even though he was with the people during triumphs and disasters and treated them both the same so to inspire Perú to rise above defeat and to celebrate victories when each came. By November 6, 2013, protests against Chavez sitting on the Human Rights Commission grew. Few considered her objective, and less considered her impartial.25 The protests numbered in the thousands26 with speakers in San Miguel Plaza noting that her election to the Human Rights commission was incompatible with human rights.27 Some protestors criticized Chávez as a rodent, an act that former anti-corruption prosecutor Ronald Gamarra criticized as unacceptable for any human rights advocate to do as it negated the entire issue of human rights.